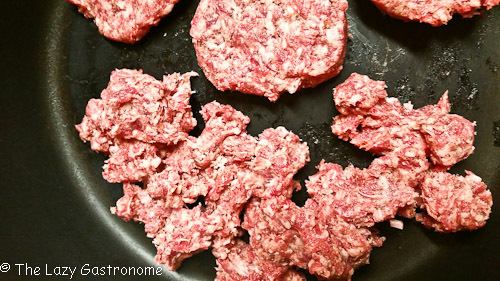 Crumble the sausage and cook until it is totally cooked. Set aside. (I make little patties on the side as well. My husband likes to make little sandwiches with the biscuits, then top them with the gravy). Put the biscuits in the oven according to the package directions. While the biscuits are baking, add the flour to the butter mixture and cook until it is slightly brown. It will start to thicken, so keep stirring! SLOWLY pour in the milk and, using a wire whisk, whisk it into the cooked flour. 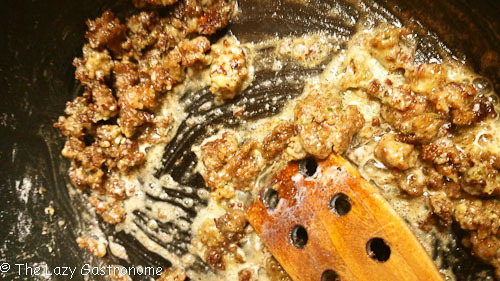 Once it is fully incorporated (mixed together), stir frequently until it is thickened. Stir in the paprika and then the salt and pepper. Once the biscuits are done, cook the eggs. We like ours fried, over medium, but you can poach as well. Just make sure the yolk is still soft enough to run over the biscuits when it is broken. To fry over medium, break the egg into a well-oiled pan. Cook until the whites are set, then GENTLY turn the egg and cook until the white is fully set. Be careful not to over cook or you get a hard yolk! 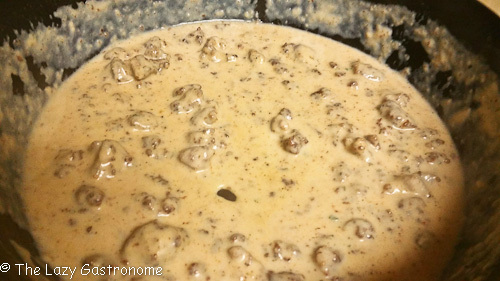 Place two biscuits on each plate and cover with ¼ of the gravy. Top with a couple of eggs and serve! 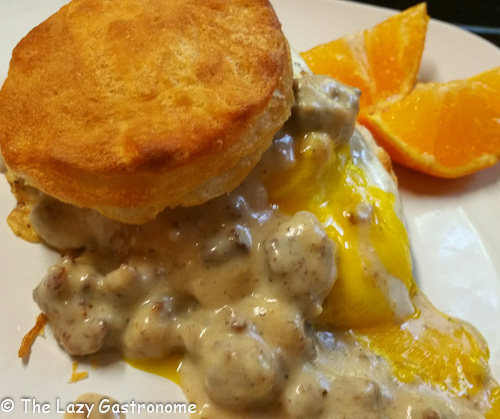 This entry was posted in Breakfast and tagged breakfast, eggs, gravy, sausage. Bookmark the permalink. There is nothing better than biscuits and gravy with sausage!!! Thanks for linking and sharing on Oh My Heartsie Girl this week!!! A southern girl’s favorite! Thanks for sharing on Tasty Tuesdays! Looks like a very nice recipe. I’ve made this but never wrote a recipe down. I should so my kids know how to make it, lol. Thanks for sharing on OMHG. Hope to see you next week. I made a recipe book for our kids of the things we ate as a family – special family foods. I compiled it while they were growing up and gave it to them when they moved out as adults. They seemed to really appreciate it and my daughter now adds to it for her own family! Just like Momma used to make. Thanks for sharing on Creative K Kids Tasty Tuesdays. I hope you will join us next week. I wish I was having this for breakfast this morning, it looks so delicious and comforting! Thanks for sharing at What’d You Do This Weekend?! My waistline may never be the same…thank you so much for sharing your tempting recipe on the #HomeMattersParty this week! LOL – Wait until next week – I’m posting pizzas! 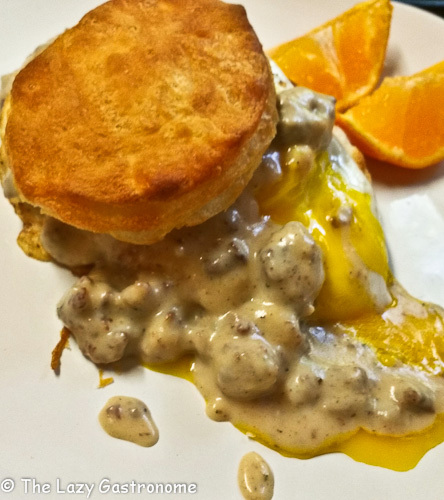 I’m not a big biscuits and gravy person, but this looks really yum! It’s my husband’s favorite. Thanks for stopping by! Now this is the way to my mens’ hearts…son and husband. 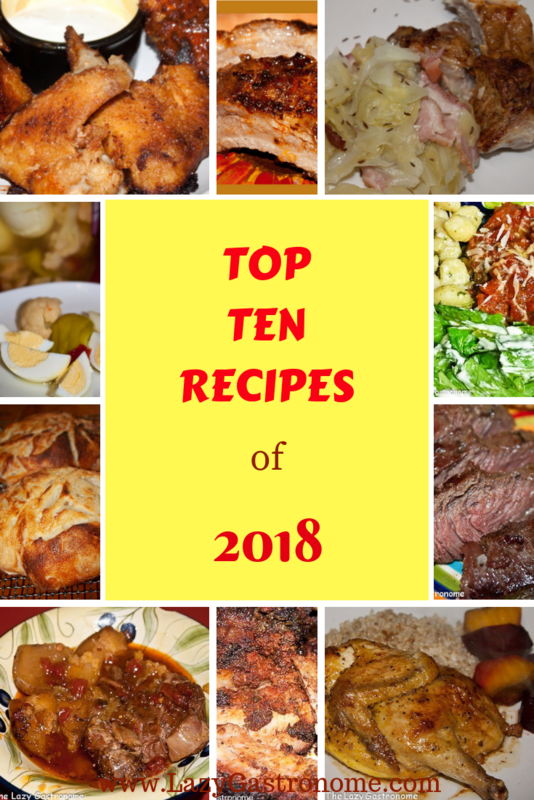 Thanks for adding your recipe to the Thursday Favorite Things Blog Hop!